I met Brian Tubbs on the set of Star Trek: Phase 2's "Kitumba" shoot in 2009, we have been good friends ever since. And I would like to thank him for agreeing to do this interview for me. 1. What is it that you do for your “day job"? I’m a weather Forecaster for the United State Air Force. The difference between me and your local weather man is that I don’t do my job on TV and the focus of my job is on how the weather will affect military aircraft and personnel. This can be tricky because unlike the civilian side, the military will refuel aircraft in the air; a very dangerous business. It’s my job to inform pilots about weather that could affect the mission, such as thunderstorms, turbulence, and icing. It’s also my job to protect personnel and assets on the ground. I do this by issuing “Watches, Warnings, and Advisories” of things ranging from something simple like a 15kt crosswind advisory to a Warning for Hail and tornadoes. I have watched Star Trek since I was a small child and developed a lasting love for the show when Star Trek: The Next Generation premiered in 1987. I remember how excited my Dad was for us all to watch it. I looked forward to those nights when my Dad, my brother, and I would watch the show together. Those were good times. 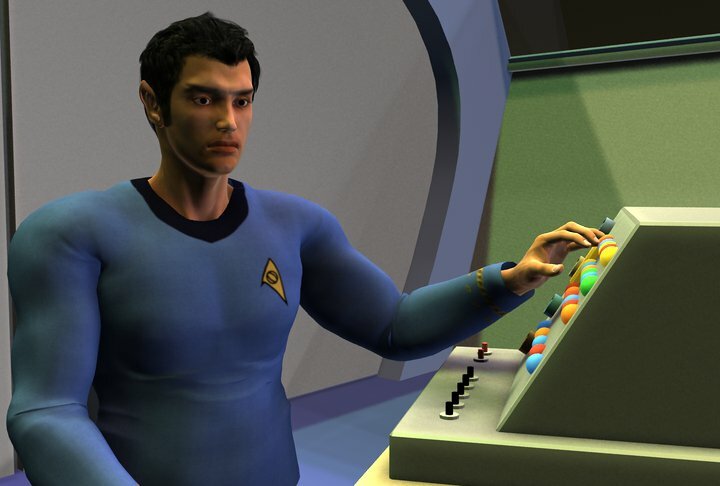 I developed a strong love for science and sci-fi because of Star Trek. Being a cast member on Star Trek phase II and just being a part of the production of Star Trek is a thrill that I will always love. I first found Phase II over the internet. I was searching for any possible news of a new Star Trek show on Google, and I found Phase II. I watch the episodes and after I watched “World Enough and Time” I knew I had to get involved somehow. I decided to contact the show. So I wrote an email and was contact by Rob Mauro. He asked for my head shot and resume. Eventually James Cawley called me and asked me to come out for the “Kitumba” shoot. James must have liked what he saw because he has called me back for 2 more episodes since then, with bigger roles each time. 4. Which episodes have you worked on? I have worked on Kitumba, Origins or “The Protracted Man” and I will be back in June of next year to shoot “Bread and Savagery.” Kitumba and Origins are still in post production and my part of “Bread and Savagery” won’t be filmed until next June. 5. What is your favorite memory of being on set? This is a hard one. I have so many. My favorite part of being on set is just being in front of the camera and performing. But my favorite scene would definitely have to be the “Sick bay” scene I shot with my good friend Matt Ewald during “Origins.” He’s a great actor and it’s fun to work with talent people. 6. In your own words, how would you describe both the atmosphere on set and the realization of a dream that many dream but few can say they have experienced? The atmosphere on set is very professional and the people are very serious about what they do but they also keep things fun and jovial. Sure tension can get high on set when time is running low and you have several scene’s to film, but that’s all part of the experience. It’s amazing to be doing what you love. 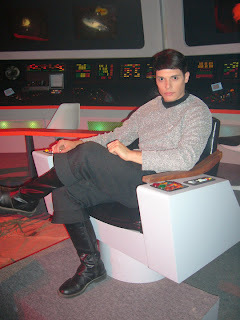 Acting is my passion but acting on Star Trek is a dream. I love it. You can’t know what it’s like unless you experience it for yourself. 7. Are there any other projects you are working on? Whether it is Star Trek or Something else. There are a couple more projects I am involved in but they are a bit so early in development right now. 8. Can you explain the difference between working with Phase 2 versus Starship Saladin. Phase II is a screen acting gig, and Starship Saladin is a voice over gig. Both are Star Trek. Fez: Side note... Brian plays Commander Xonac on Starship Saladin, their first episode is due out soon, keep your eyes peeled for info on that! I make a couple of appearances during the first two episodes so keep your eyes and ears peeled. 9. Any other thoughts you'd like to share with our readers? If you'd like to promote something you are in or are interested in here. While I’m very proud of my service in the USAF, my real passion is acting. I hope to make a living doing what I love one day. It’s a very tricky business to get into and the antithesis of job security. Hopefully the right people will see my work on Phase II or my voice over stuff will get some traction and I live the dream baby!!! Until next time readers keep reading and... Live Long and Prosper! !